Find out more about iTransact as a credit card processing solution for your business. Includes pricing info, key information, and frequently asked questions. 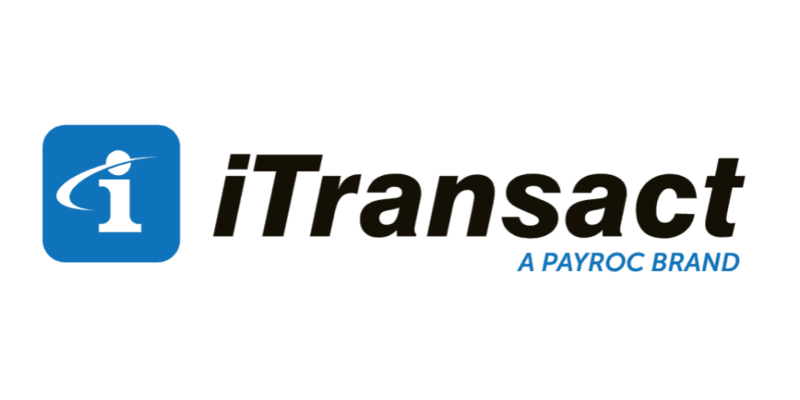 iTransact is an end-to-end payment processing solution that provides mobile, internet, and traditional retail and e-commerce solutions for businesses of all sizes. Pros: Low fees. Great app and customer service. Cons: Point-of-sale systems are not provided. Bottomline: iTransact enables small businesses to accept debit and credit card payments, and offers a variety of e-commerce solutions. What is iTransact's price range? iTransact charges a monthly service fee of $14.95, and between $0.05 and $0.31 per transaction. What features does iTransact Merchant Services include? iTransact provides traditional merchant accounts at discounted rates, data analytics, and a virtual terminal to process credit cards and other electronic payments. The virtual terminal enables real-time payment authorizations, invoicing and refunds, fraud prevention features and more. They also offer a wide range of payment processing terminals and integration with various POS and e-commerce gateways. Yes, iTransact combines PCI compliance with SSL certificates and data encryption, allowing merchants to accept payments easily and securely. Is there an iTransact app? Yes, the iTransact app is compatible with iOS and Android. How do I get in touch with iTransact support? You can reach iTransact customer service by calling 1 (800) 369-6451 or sending an email to support@itransact.com. You can also find a merchant and developer's toolkit with gateway documentation and user manuals under Support on their website. Where do I find the iTransact login page? Go to the iTransact homepage and click login in the top right corner or sign in directly at itransact.com/login.php. What are some iTransact alternatives? This week iTransact changed the format (after my 16 years with them) of the transaction emails that they send me. These new ones are unsatisfactory for a variety of reasons: 1. They take up 2 full screen monitor pages instead of 1. 2. They do not allow me to hit "reply" to the customer, only to them. 3. They are currently not showing "voids" to me. I do not know if they go to my customers! 4. They originally were sending emails to my personal, not business, email address. 5. This creates a lot more work for me and possible confusion to my customers. They did not tell me what advantage it has for them. I told them I would prefer my previous system. Their reply was "We have changed our system and will not return to the previous one." I told them I may be changing my processor because of this. Their supervisor was not helpful.